Managed Lubes Warehouses of all packed /bulk lubricants (including greases) and road transport/delivery to customer. Activities begin from receipt of finished products from production into warehouse, storage and warehousing management, product picking and dispatching, loading onto transport medium, and vehicle safety management until customer receipt. Ensure the efficient management of warehouse and transport activities to meet agreed customer service levels in a manner that is safe, cost effective the right quality and right quantity. Ensuring the follow up of any existed HSSE gaps closure. Min 5 Years of Experience in Logistics management. This position would generally require a sound working knowledge in lubes supply chain, preferably with experience in logistics warehousing and distribution of packed and bulk product and with a strong drive to satisfy customer needs. Demonstrated ability to engage, train, coach staff at peer level. Strong team-working & interpersonal skills to be able to drive interactions end to end along the processes. Exposure to consumer based logistics chain would be an advantage. Ability to respond appropriately to immediate situations would be essential. Sound interpersonal/influencing skills would also be required with respect to internal/external customers and external organizations. Develop and execute the local growth plan for platinum Key Accounts (esp Japanese) working with the Global team and local Sales,Marketing,Technical team. Prospect and manage existing key account customers in order to achieve the sales target,proceed,credit performance including monitoring the performance,by implementing customer value proposition. Managing local original equipment manufacturer (OEM) contacts as well as regional original equipment manufacturer (OEM). Ensure proper credit control and debt collection and to assist distributor in establishing and implementing good credit supplier,including discount/rebate and pricing control within delegated guidelines. Manage complex interfaces in target customers and through the use of Sales 1st Disciplines (such as Call Planning,Call Reporting,Account Planning and Pipeline Management),win growth opportunities for new business,cross sell and up sell. Lead new business and local contract negotiations ensuring adherence to the proposal to commence negotiation (PCN), Local Offer Book, Manual of Authorities & ensuring local contract in place in line with PCNs. Manage the customer management in the area of contract negotiation,handling customer complaints,recovering debt,customer hospitality. Identify market trends & opportunities and competitor activities. Ensure that the input from the sector Sales Pipeline to Sales & Operation Planning process is consistent & accurate. Implement and review sales forecast by volume,product and territory,and to prepare operational sales plan per area per respective key account customers by combining/implementing marketing plans and marketing initiatives liaising with marketing implementer. Implement promotions and technical training activity programs included in the marketing plans. Give accurate Demand Forecast inputs to Sales & Operation Planning. Able to speak Japanese or Chinese language would be added advantage. Shell occasionally amend or withdraw Shell jobs and reserve the right to do so at any time, including prior to the advertised closing date. 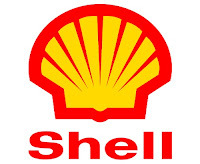 Thanks for reading Shell Indonesia Jobs: 2 Positions. Please share...!